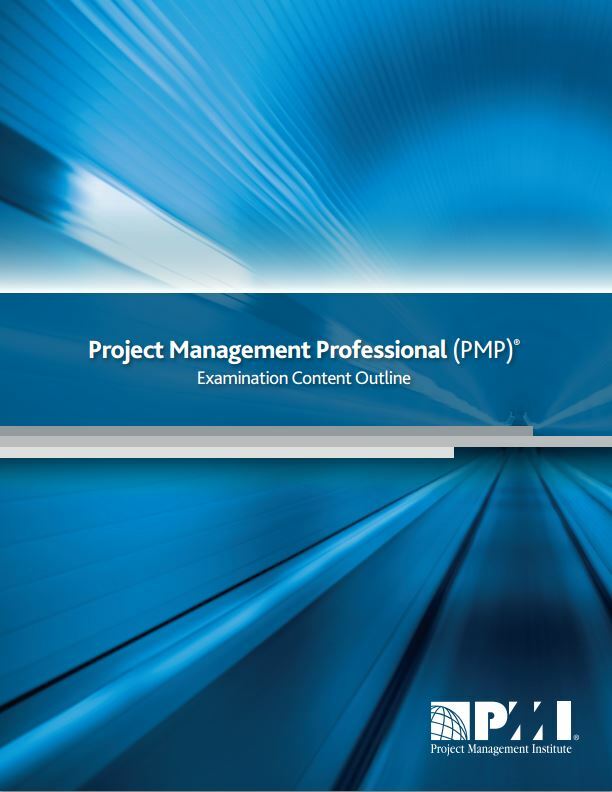 The PMP exam changes are approaching early 2016. Below is a Question & Answer segment discussing these changes. Q: Why is the PMI changing the PMP Exam? A: In general, PMI periodically updates their certification exams as a result of two things: the Role Delineation Study (RDS) and the Examination Content Outline (ECO), which is based on the RDS. Refinements around the role and responsibilities are documented in a RDS, which the certification addresses and updates to a body of knowledge, like A Guide to the Project Management Body of Knowledge (PMBOK® Guide), that catalogs best practices in the discipline the certification addresses. The blueprint for the PMP exam is the ECO document. PMI recently completed an update to the RDS resulting in an update to the ECO. A: The PMP exam will continue to be organized around five domains (process groups), each of which has tasks and knowledge and skills required for that domain. However, many of the tasks in each domain have been modified, some have been deleted, and others added. Updates have also been made to the knowledge and skills in each domain. The increasing use of agile approaches and the increased recognition of the importance of business analysis are both reflected in the revised RDS and ECO. It is reasonable to expect that questions that account for those things will begin showing up in the updated exam. PMI’s website is a good source of information with links to help understand what’s changing. Q: Didn’t the PMP Exam Just Change in 2013? A: Yes, the exam changed in 2013 as a result of a new edition of the PMBOK, and the previous update was in 2011 as a result of an update to the RDS and ECO. The RDS and ECO get updated for each PMI credential (PMP, PMI-RMP, PgMP, etc.) every 5-7 years and the PMBOK® Guide gets updated about every 4-5 years. The processes around updating a role delineation study and body of knowledge are not unique to PMI. These are industry best practices, and all of us who are certified by PMI are served well by their work to keep certifications current and updated with changing practices and organizational needs. Q: So, what should I look at? The RDS, the ECO, or both? A: Don’t bother looking for the RDS. Per a recent inquiry with PMI, there is not access to it anywhere. But you do want to be familiar with the ECO. In addition to the tasks, note the Knowledge and Skills section for each domain. Importantly, take a look at the Cross-Cutting Knowledge and Skills on page 11 of the ECO. Those are topics that are likely to provide context for many of the scenario-based questions you will encounter on the PMP exam. Use the ECO as a reference in conjunction with other resources, such as the PMBOK® Guide and a Watermark Learning PMP Certification Boot Camp manual while studying. Q: In a nutshell, what do I need to be aware of regarding the changes? The PM contributes to the development of the charter; they don’t create it themselves. Project alignment with business value needs to be defined early, monitored, and communicated throughout the project as things evolve. PMs need to understand and be able to use benefits analysis techniques to contribute to the development of a business case for a project. Key PM responsibilities include developing and sustaining stakeholder engagement, as well as communicating to manage stakeholder expectations throughout the project. Lessons learned are essential, should be done throughout the project, and are a vehicle for continuous improvement. PMs are responsible for making sure that any procurement on the project supports the project objectives. Q: Would you recommend taking the test now or waiting until after January 12th? A: Well, this is always a tricky answer. There is a learning curve after the release of an updated exam; that is, it takes a while to get feedback on an exam such as what’s emphasized, the nature of the questions, etc. (No one gets specific feedback on actual questions.) So now that we’re a couple of years since the last change, we feel like we have a fairly good sense of what candidates can expect on the exam. Once the new exam is in effect, everyone is a little in the dark as to the types of changes that were introduced. It takes a few months to get general feedback about how it is different or the types of questions that show up. So, on the one hand, we recommend that people who are close to ready go ahead and take it now considering there is a pretty solid understanding of what the current exam is like. In addition, not many people would suggest that the exam gets easier over time. On the other hand, if you’re not ready or aren’t going to have time to prepare before January 12th, then don’t create unnecessary stress for yourself – wait until you can take the time necessary to prepare. If you do wait, consider holding off until after January or so, and follow online discussion groups after to see what people are saying about the exam. Remember: Whether the PMP is changing because of an update to the PMBOK or the ECO, the entire discipline of project management isn’t getting overhauled; it evolves. Q: If I take the current exam and fail, then retake the test after January 12th, will my retake be the old or new version? A: All tests administered after January 12th will be the new version, even retakes. No exceptions. Q: Will anything else change January 13th? If you have other questions regarding the changes to the PMP exam, don’t hesitate to let us know.